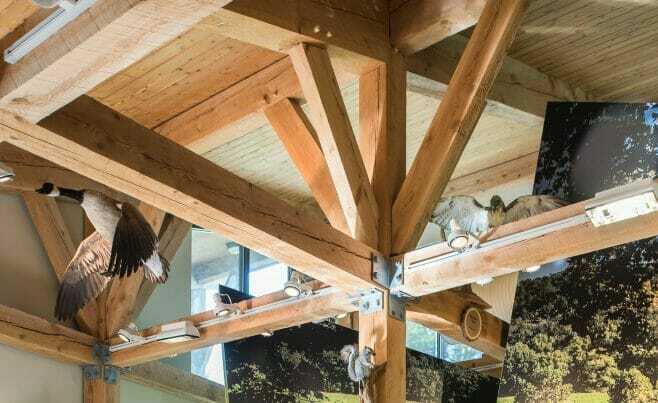 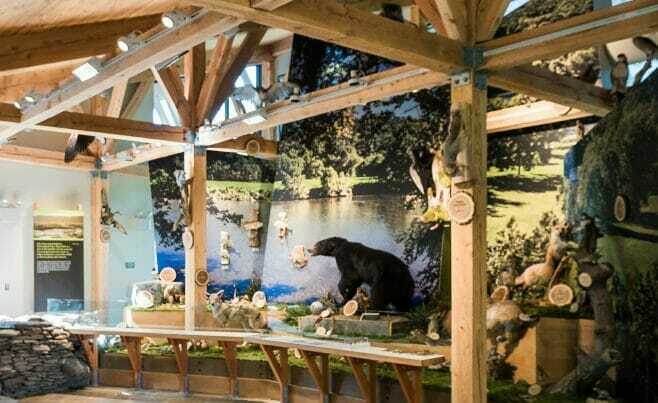 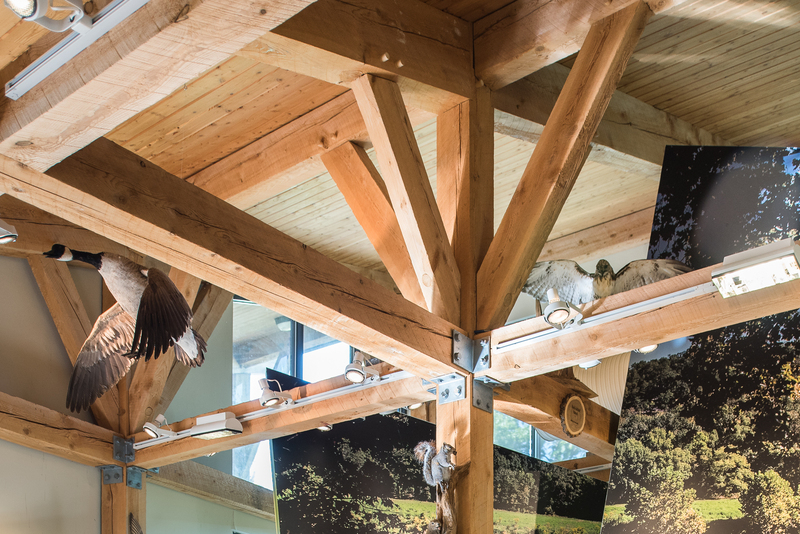 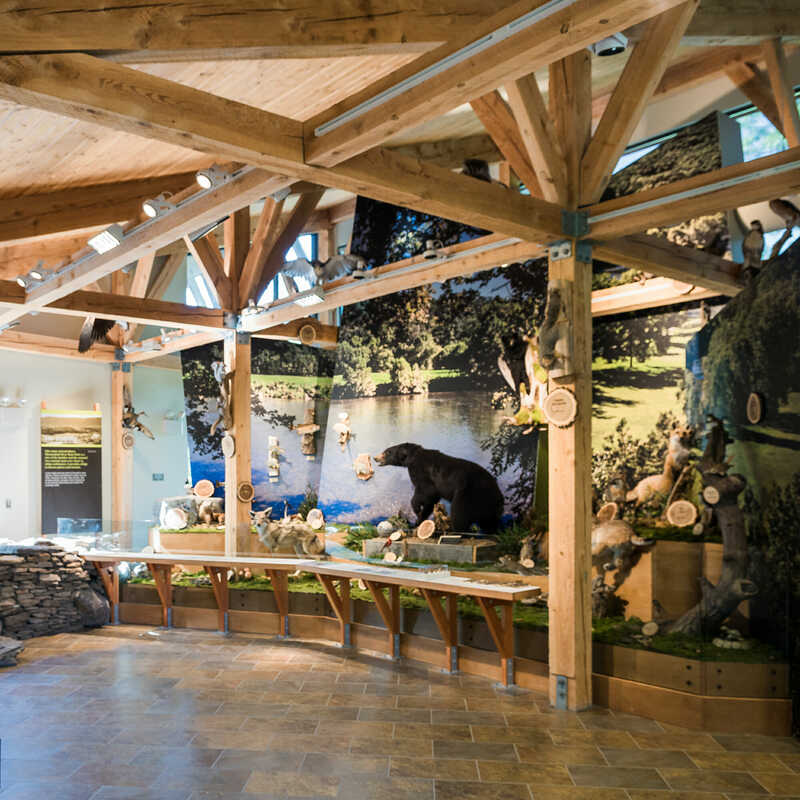 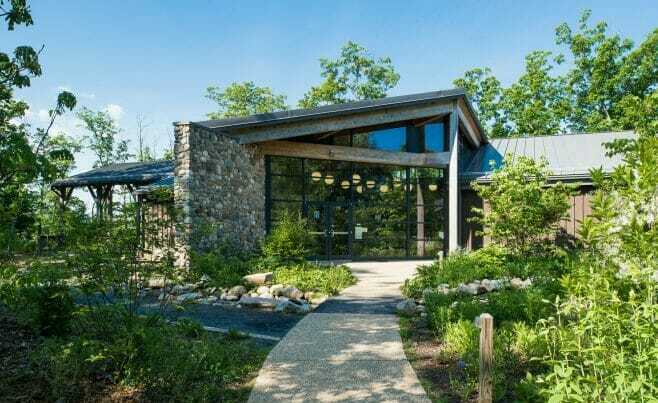 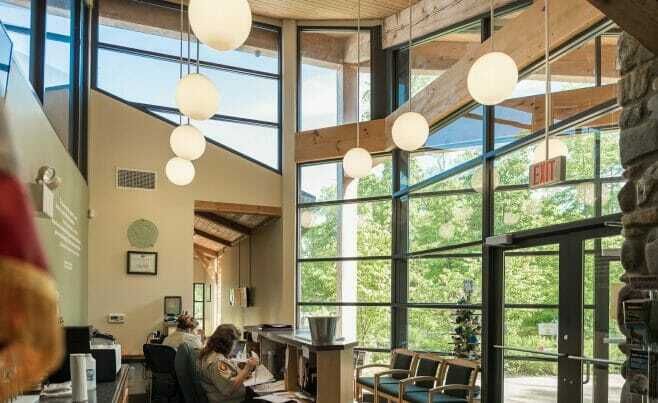 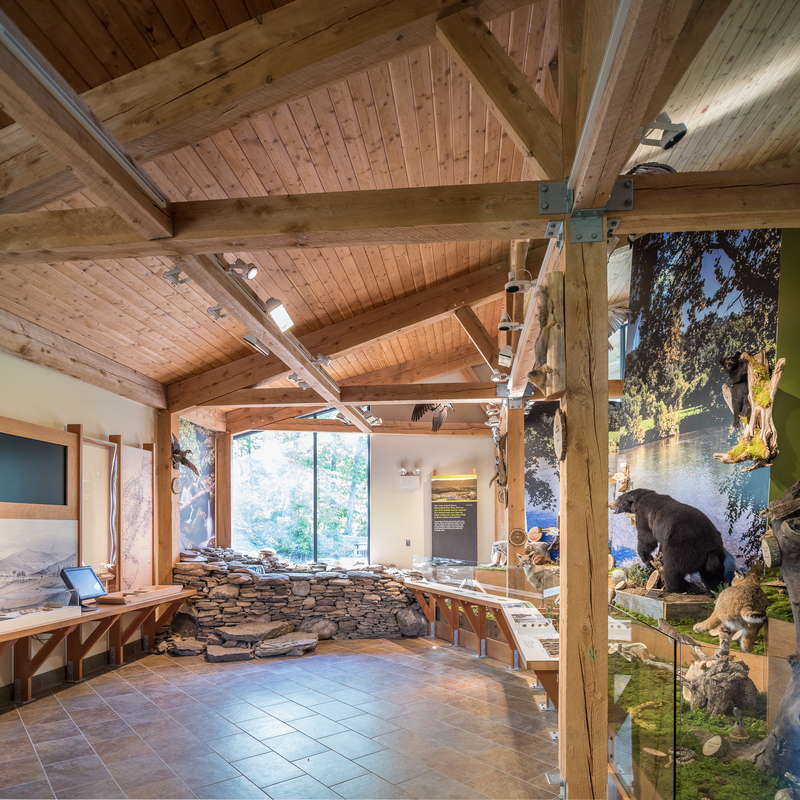 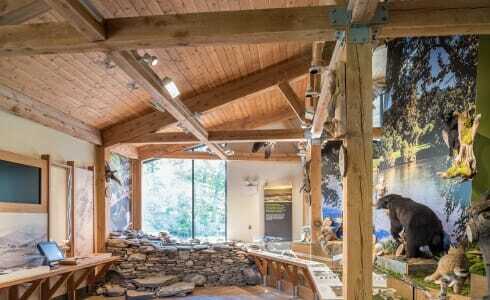 We worked with Spectrum Design and Caldwell and Santmyer, Inc Contractors on the Shenandoah River State Park Visitors Center in Bentonville, Virginia. 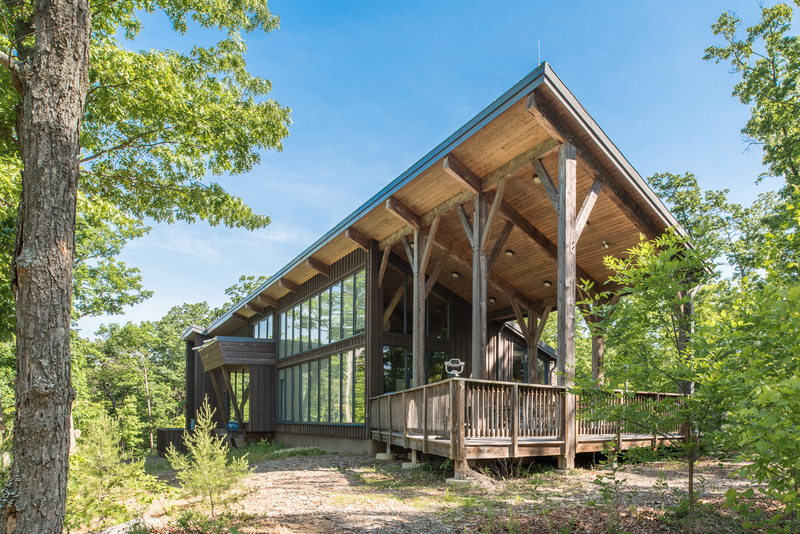 The frame is LEED Certified, using native hemlock timbers with traditional and steel joinery. 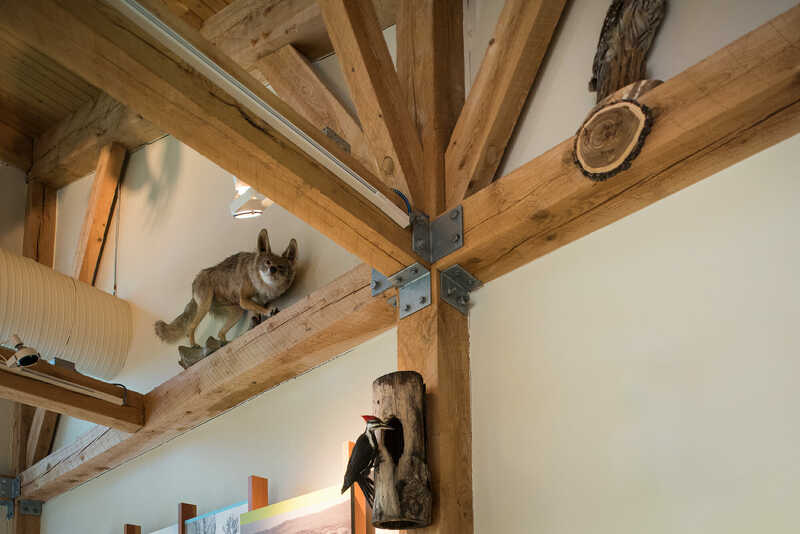 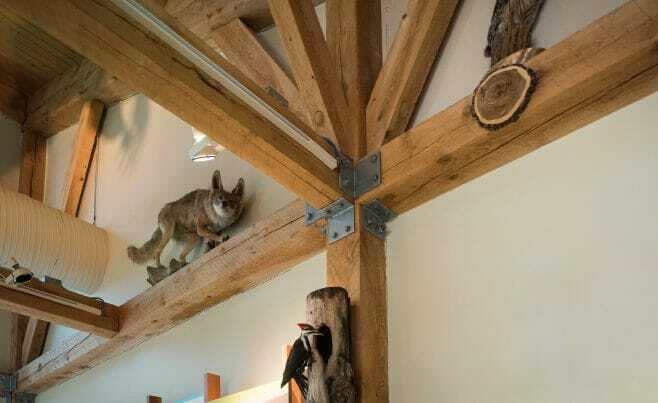 Inside are high open ceilings and displays of the native flora and fauna. 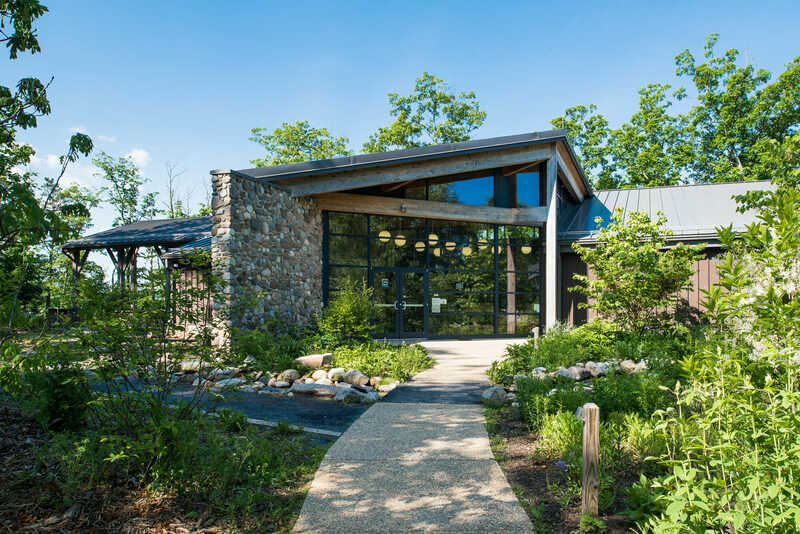 The park sits on 1,600 acres along 5.2 miles of shoreline and offers picnic shelters, campsites, a zip line, hiking fishing and educational opportunities. 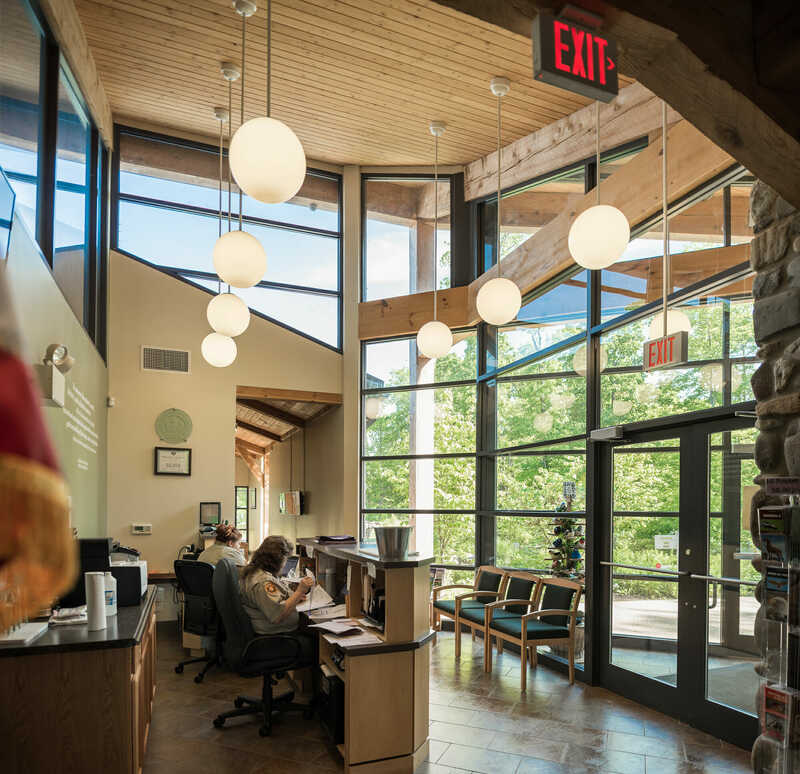 The visitor center is a trash free site, people carry out everything they carry in.